Holden has announced it will introduce a redesigned range of the popular Captiva SUV, which will go on sale across Australia in 2016. The family friendly, 2016 Captiva effortlessly blends practicality with style and connectivity, thanks to a revised design featuring a new front grille, new front fascia and LED Daytime Running Lamps amongst a range of other updates. Additionally the 2016 Captiva comes equipped with the latest Apple CarPlay® and Android Auto connectivity technology as well as a number of accessory options designed to ensure the large SUV supports customers’ active lifestyles no matter what their inspiration. Key safety features including Side Blind Zone Alert on Captiva LTZ and Rear Cross Traffic Alert also on Captiva LTZ, as well as ISOFIX child seat compatibility and Park Assist, round of the feature packed, value for money family SUV. Holden’s Executive Director – Sales, Peter Keley said Captiva’s new design and connectivity features ensures the car remains an attractive option for those with busy family lives, whilst Holden’s ground-breaking Lifetime Capped Price Service programme provides peace of mind. “Captiva is a practical and flexible SUV, designed for families on the go that need the space but also want to look good and enjoy their road trips,” said Mr Keley. 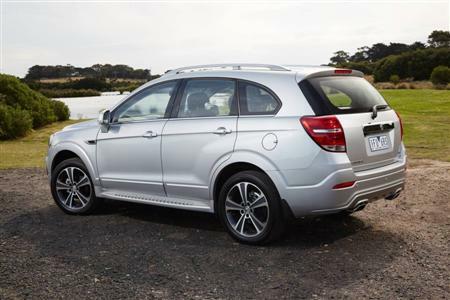 The 2016 Captiva simplifies Holden’s SUV offering, combining the outgoing Captiva 5 and Captiva 7 models into one sleek body design, available with both five and seven seat options and a variety of powertrains and trim levels that have already proved popular with customers. 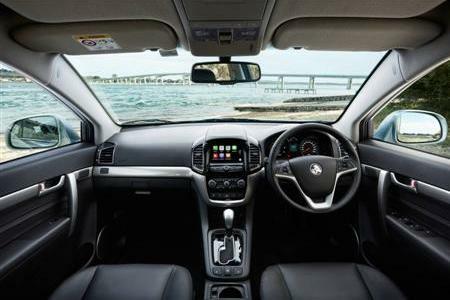 In addition to Captiva’s refreshed exterior design cues, on the interior Holden has introduced a cleaner, more contemporary centre infotainment panel housing the latest MyLink technology including phone projection technology and a rear view camera as standard. Holden’s Electrical Group Engineering Manager, Joe Sawyer said Captiva’s all-new infotainment system allowed customers to remain fully connected with access to a world of applications with the touch of a button or voice command. “Captiva’s new MyLink system with Apple CarPlay® and Android Auto phone projection technology is a class leading infotainment system allowing customers complete control in their car,” said Mr. Sawyer. Adding to Captiva’s fresh appeal, the large SUV is also covered by Holden’s ground-breaking Lifetime Capped Price Service programme, giving customers peace of mind and ensuring exceptional customer value beyond the point of purchase. 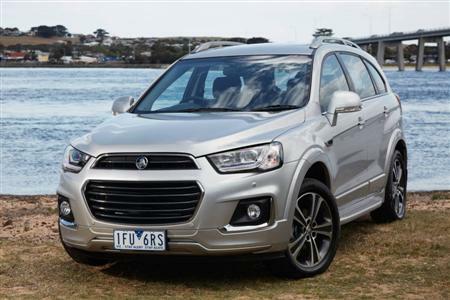 Captiva goes on sale at Holden dealerships across Australia in early 2016. Apple CarPlay requires a compatible device.